Proverbs 31 Woman: Is Your Birth Control Causing Abortions? 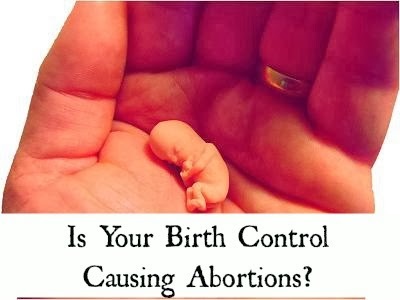 Is Your Birth Control Causing Abortions? Most Christian women would be horrified to learn the birth control method they are using causes abortions - yet that's exactly what's happening in many, many cases. This is such an important issue, I'm reposting - with updated information - this article from 2011. Recently, I read a passing comment on a blog saying birth control pills cause abortions. Whoah! I thought. Could that be true? I certainly had never heard anything like that before. After a lot of research, here's what I discovered. According to Web MD, hormonal birth control (including the pill, the mini pill, the combination pill, Depo-Provera, the patch (Ortho Evra), and vaginal rings) work in several ways. They may inhibit sperm from traveling through the cervix by thickening the cervical mucus, and they may prevent women from ovulating (releasing eggs). Hormonal birth control also makes the lining of the womb "inhospitable." The Association of Prolife Physicians has stated "there is an impressive amount of medical literature" backing up the last mentioned way the pill is known to work - by preventing eggs from implanting in a woman's uterus. The hormones in the pill do this by making the endometrium thinner and drier. Through in-vitro studies, most doctors believe a thin uterus makes it difficult to become pregnant. But if the pill works in this fashion, that means an egg has already been fertilized and the act of preventing it from implanting means the pill isn't actually working as a contraceptive. Instead, it's causing an abortion. 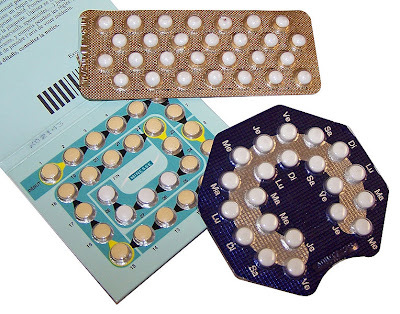 The combination pill and mini pill are the most popular forms of the birth control pill used today. The combination pill specifically works by usually preventing the pituitary gland to stimulate a woman's ovaries into ovulation. The mini pill doesn't usually stop ovulation (because it contains only artificial progesterone and no estrogen). Instead, it works by causing an abortion. It makes the lining of the uterus "inhospitable" for the fetus. Again, it causes abortions. Fertilized Eggs on the Pill? Most of us were taught the pill works by preventing ovulation. Yet the pill is not 100% effective in this area. Even when you consider the best possible statistics physicians offer - that, as Planned Parenthood reports, 1 out of 100 women who take the pill perfectly get pregnant anyway - it's clear the pill does not always prevent ovulation or fertilization. (Other sites offer a lower effectiveness rate; for example, Feminist Women's Health Center says the pill is 91 to 99.7% effective. Mini pills are even less effective than traditional birth control pills, preventing pregnancy about 95% of the time.) So while hormonal birth control won't always cause an abortion, they sometimes will prevent a fertilized egg from implanting in the womb, causing an abortion. So why don't doctors warn their patients about this? It comes down to definitions. The American College of Obstetricians and Gynecologists insists a woman isn't pregnant unless the fertilized embryo implants in the womb. So does the National Institutes of Health. Implantation, however, doesn't happen until about three to four days after conception, according to Planned Parenthood. [When I was at college] I publicly challenged [a professor's view of the morning-after pill] and he reluctantly admitted that the morning-after pill worked by preventing implantation of an already-conceived embryo, but he resolved the dilemma with the statement, 'I don’t consider it much of anything at that stage.' It came down to his unsupported bias against the humanity of small human beings!" In addition to all the other links in this post, you can read a referenced article by a physician at Eternal Perspective Ministries. Two more references worth reading are Prolife OBGYNs' article "Birth Control Pill: Abortifacient and Contraceptive" and "Hormone Contraceptives Controversies and Clarifications." The latter argues there isn't enough proof hormonal birth control causes an inhospitable environment for fertilized eggs. You can also use the Prolife OBGYN's website to find a prolife doctor in your area. Do Other Birth Control Methods Cause Abortions? 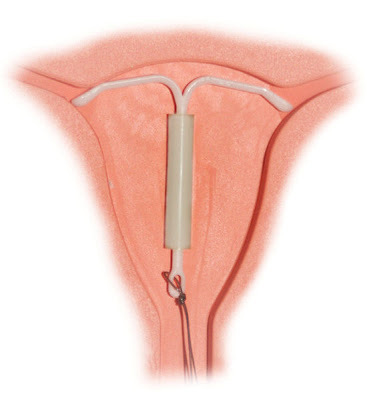 "Both the ParaGard and the Mirena IUDs affect the way sperm move, preventing them from joining with an egg. If sperm cannot join with an egg, pregnancy cannot happen. Both types also alter the lining of the uterus. Some people say that this keeps a fertilized egg from attaching to the lining of the uterus. But there is no proof that this actually happens." Studies do indicate that thinning ("altering") the uterus may prevent implantation, as referenced above. All the other websites I researched acknowledge this. For example, the Central Michigan District Health Department website states, "As with birth control pills, there is no single explanation for how IUDs work. Studies have shown that the presence of an IUD interferes with the movement of sperm, fertilization of eggs, and implantation." So if sperm does manage to fertilize an egg, the IUD's thinning of the uterus will cause an abortion. What birth control methods definitely never cause abortions? Condoms, diaphragms, spermicide, cervical caps - and of course abstinence. But should Christians use birth control at all? What does the Bible say on that topic? It has plenty to say! And on that issue, I highly recommend Nancy Campbell's Be Fruitful and Multiply. Kristina, thank you for posting this. So many of us women choose to be blind and not see the truth. BUT if the truth is out there enough times than we can't say we didn't know it. Thank you for posting this. I went through this same journey of discovery 5 years ago when I began researching birth control to find out why I was getting so sick with every pill/patch I tried. I stumbled across this information and did all of the same research you did and was devastated to find out that I could have been pregnant at some point and aborted my baby. I saw FOUR different OB's and each one tried to convince me that I was being over dramatic and that it does not cause the abortion of a "fetus". It took me 6 months to find an OB that would admit it and give me other options. We are now natural family planners and have been for 5 years and I will never go back. I've found that most women don't want to hear this because it means choosing a path less easy and more risky. Sad, but we are all convicted differently I guess. For me, it was not worth the risk! Thanks for the post! I've been using OVULATION PREDICTOR for a long time and I still get butterflies when that little smiley shows his face. :) I got one from the internet by searching on Google HOME CHECK OVULATION TEST KIT it was great! Wish I knew before ... I will not be taking next month pills.